1 Sweat the leek, onion, and the celeriac in butter for about 10 minutes, then sprinkle with flour. 2 Stir well and cook briefly. Whisk in the vegetable stock, bring to a simmer, and puree the soup. 3 Add the cream and simmer for a further 5 minutes over a low heat. Season with salt and pepper. 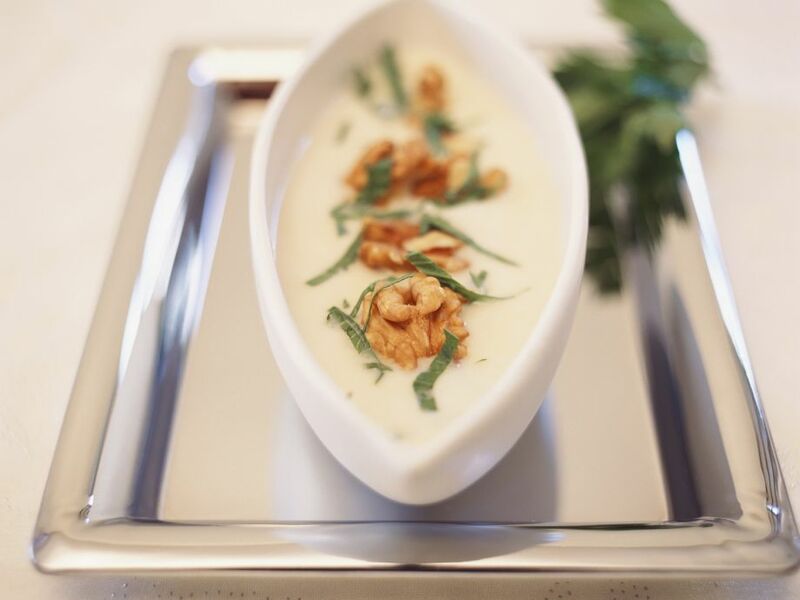 4 Ladle the soup into bowls and serve garnished with celery leaves and walnuts.